It won’t be a surprise if I say that the right vendor management process allows you to strengthen your business. The question is how to build an effective one that will bring value to both you and your vendors? First off, vendor or supplier management is the process of dealing with your current and potential suppliers to reach your company goals via effective communications and partnerships. Supplier management also includes functions of risk management to provide stability and sustainability for your company. Vendor management should not be confused with negotiations and simply squeezing everything from your suppliers. Many organisations make the common mistake of focusing on prices as the only indicator for vendor performance. This mindset results in a cost cutting approach which may not necessarily create the highest value for price. In fact, most of the cheapest vendors are not the ones that generate the most value due to service failures, quality and other issues. In the long run, managing such vendors will create a drop in productivity due to the aforementioned factors. Instead of focusing on prices alone, there is a variety of other factors that procurement professionals can track and evaluate. Your goal is to understand the exact value adding that each vendor is bringing to your organization. 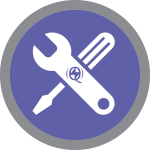 Your organization should have an internal process in place to evaluate and select existing and new vendors. So how do we make the best out of this? Organise your suppliers and vendors, for that you can you use e-solutions or you can start with manually creating a database. You can read more about vendor and contract management here. What are the key information to include in the database and how to organise it? The best way is to collect all the suppliers and classify them by categories based on the services they provide. Make sure to add their contact information (contact person, email, phone number) and your current spend with them in order to estimate their influence and your organization. By doing this, you will be able to quickly extract potential suppliers and compare their prices and services. Logically speaking, you’d want to dedicate more time on vendors or suppliers that are more important to your organization. One such guideline that you can follow is the 80/20 rule. It states that 20 % of an organization’s vendors are responsible for 80% of the spending while the other 80% of the vendors are responsible for 20% of the spending. It’s efficient to focus your time and effort on the small pool of vendors that make up the large proportion of your organisation’s spend. Reputation – includes risks to your company reputation that could take form of quality issues, service or supply interruptions, etc. Supplier risk management increases the levels of control, allowing you to find balance between cost-effectiveness and risk control. Supplier risk management will be discussed further in our future guides. 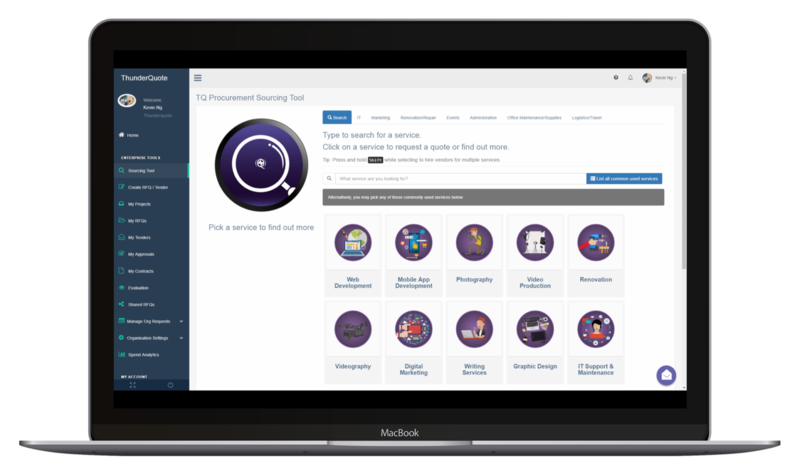 Subscribe to ThunderQuote Procurement Learning Centre today to receive the latest update. Very often once the contract is signed, the business buyers assume everything will go according to the specified contract details and will strictly follow planned deadlines. Unfortunately, in most of the cases monitoring the vendor’s performance is inevitable, especially in the beginning of contract or project. Customer service response time, etc. Other than this these common indicators, you’ll also want to add indicators that are specific to your sector or category of spend, i.e. for manufacturing, you might want to include indicators like: response to last minute order. After determining the indicators that you want to track, the next step is to evaluate them on a regular basis (monthly, quarterly, annually, etc). The frequency of evaluation is determined by how important the vendor is to your organization. This can be determined by the 80/20 rule mentioned above. The easiest evaluation method usually include Vendor management scorecards. ThunderQuote enterprise system has a pre-installed supplier e-scorecard system to manage your vendors even more efficiently. For manual submission and vendor performance management, you can download the template of Supplier scorecard here. For the process to work effectively, you also have to work on continuous improvement. Ideally, all the vendors should be aware that their performance will be closely monitored and measured before the contract starts. KPIs should also be announced before the start of project or contract for vendors to know what are the main expectations and deliverables required from them. The results of the evaluation are also not there just to be kept at the procurement department, they should be used to improve the supplier performance. Finalised score and result should be shared with vendor in order to take actions towards enhancement of the weak areas. 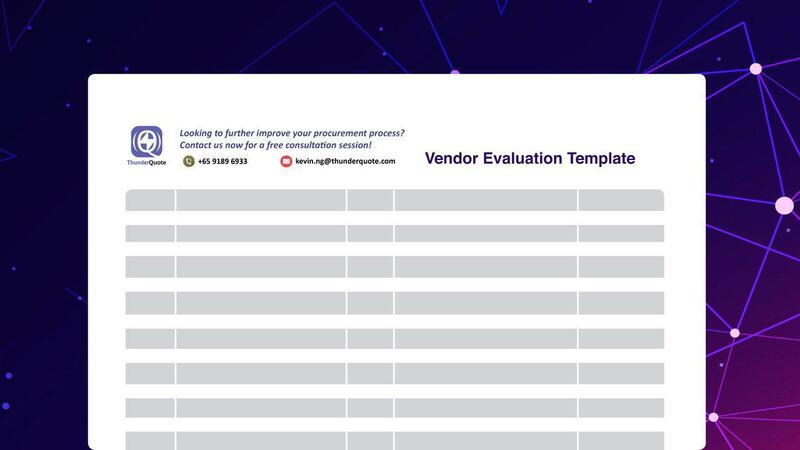 To help you with vendor evaluation, we have a Vendor Evaluation Scorecard for you to track vendor performances. 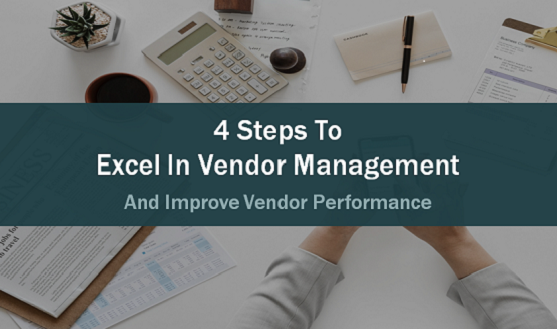 Using these steps, your company will be able to excel in vendor management and consistently improve supplier performance. For simple and automated vendor management, try ThunderQuote e-solution for free today!